Two navigable waterways run through Reading, the River Thames and River Kennet. Reading is the stating point of the Kennet and Avon Canal. 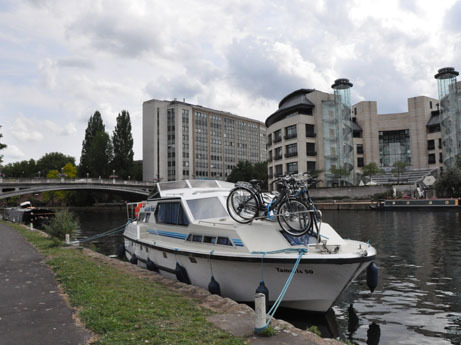 Moorings are provided by the Council for leisure boaters who wish to stay in Reading for a 24 hour period. These moorings are provided at Christchurch Meadows and Kings Meadow (near Tescos) on the River Thames, and Chestnut Walk (near the prison) on the River Kennet. No long term moorings are provided by the Council but are available at Thames and Kennet Marina and Better Boating. Boating clubs include Reading Rowing Club, Reading Canoe Club, and Thames Valley Cruising Club. There are a number of river based events in Reading, including the Reading Regatta on the River Thames in mid June and Reading Waterfest on the River Kennet.